Its dimensions are reduced, meaning 47 mm x 12.5 mm x 6.4 mm and a weight of only 8 grams. You will not even feel it behind your ear and also you will definitely forget that it is connected and talking to her. You will definitely arouse comments from people or at least some weird looks on the street. Barely they will see the petite Bluetooth headset. 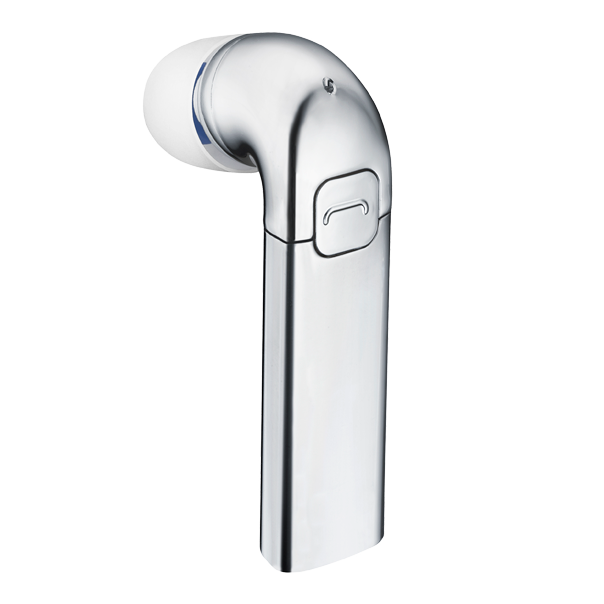 A striking design in curved lines with a stainless steel finishing which gives you one of the greatest touch ever. It is an in-ear Bluetooth headset. It also has a clamp support included in package. So, Nokia J headset combines luxury and innovation through its extremely elegant design and careful assembly of the highest quality materials. It won the 2011 Red Dot for Design, iF Product Design 2011 award and CES Innovations Design and Engineering Showcase 2011 . It has a button with a role in the conclusion or receiving calls. It runs and connects automatically when it is removed from the holder. It works with two devices simultaneously. Includes automatic volume control feature adapting to the surrounding conditions. The volume of this headset adjusts automatically according to surrounding noise level. The call management is effortless no matter where you are virtue of their intuitive functions which is Always Ready – just to pick up the headset and talk. – 5 hours of talk time and 3 months in standby mode connected to the support. After a 15 minute charge this headset can provide 2.5 hours of talk time only if you will use the microUSB charger. The time required to fully charge is 1 h. It has a rechargeable Li-Ion Polimer battery of 115 mAh. It is a Bluetooth headset that you can use for hours and also you will almost forget that you wear them on your ear. Very light, with great technology, provides a quality sound and does not give you headaches to synchronize them with your phone. Almost everything is done automatically. It gives you a voice guidance and also you will get informed of every call in part. The price is high, but the technology that facilitates your work needs to be paid.